Finike in Turkish, Phoenicia in English, is an agricultural town which is located in the west of Antalya. 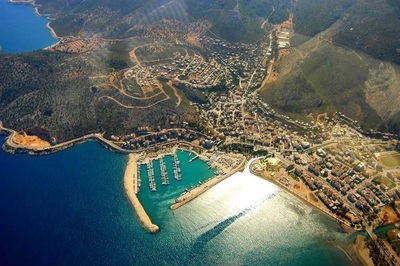 Finike has the borders with Kumluca in the east, Elmalı in the north , Demre in the northwest and Kas in the south. 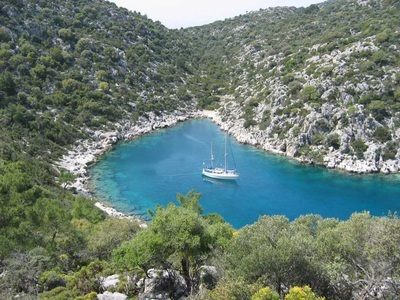 It is about 117 kms far from Antalya city centre. 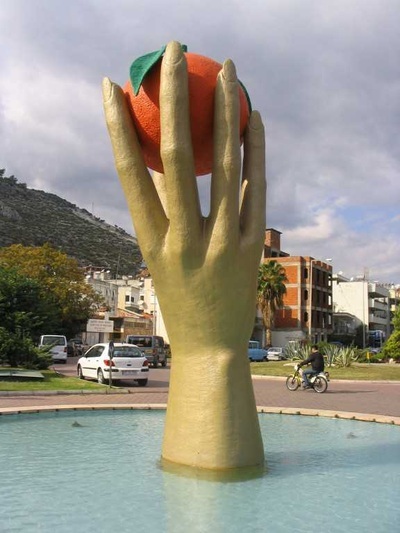 Finike is still trying to maintain as an agricultural town of Antalya region and it is considered as the citrus agricultural production center, espacially oranges are grown in this town and send all over Turkey so the inhabitants of Finike enjoy farming with the traditional agricultural methods not to be spoiled out by tourism investments. The climate is Mediterrenean, summers are hot and winters are rainy and warm. The population of Finike is 47.000 according to the latest census and majority of people are Nomads whom they live in the mountains to look after their flocks of sheep and goats. 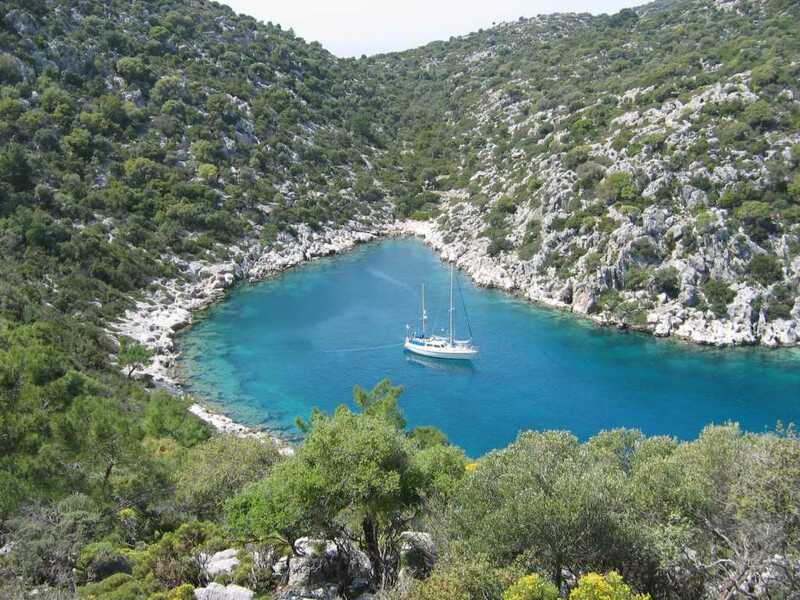 Phoenicia used to be an important settlement in Lycian world and the history goes back to 5th C BC. 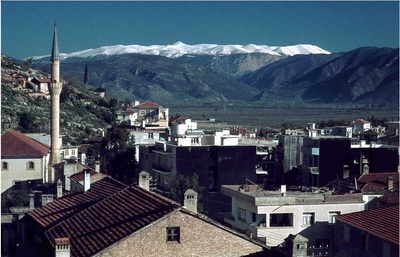 Phoenicia has served as a port for exporting agricultural products of Lycia for many years, therefore, it has been one of the most important commercial centers of the region. 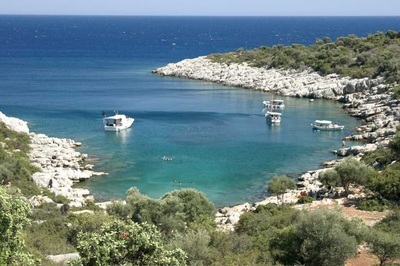 Phoenicia name was given to the port settlement by the Lycians and the Greeks used to call Phoinikos that means red-colored horse. Development of the eastern Mediterranean trade during the 4th and 3rd centuries BC, first Persians wanted to control of Lycia then later Alexander the Great captured the whole region for obtaining commercial incomes. The Lycians and Phoenicians could not resist the occupation of Persian and Alexander’s troops. After the death of Alexander the Great, the control of Lycia was weakend and the region was ruled under the hegomony in Rhodes, in Syria and in Egypt until the 1st C AD. Roman rule began in the first century AD and the best time for Phoenicia was between the 1st and 2nd centuries AD under the Roman rule. With the onset of early Christianity in Myra ,called Demre today, has become the center of Christianity so the Lycians and Hellens living in Lycain towns lost all values during the late Roman and early Byzantine periods and they were swamped as the Byzantine dominations. At the end of the 8th century AD, the Phoenicia was ruled by the Arabs in a short time but later it was conquered by the Seljuk Turks between 1207-1308 when the nomadic Turkish tribes began settling down to look after and to feed their thousands of sheep and goats as flocks on the hills and Taurus mountains. In 1426, Ottomans came and controlled the whole region and later it became part of the Ottoman Teke state. While the town was a small district in the Ottoman administration, it was added to Elmalı town as a nomadic area and it was invaded by Italian troops in 1914 and was saved by the Turkish forces in 1922 and the name was changed to Finike in 1923 when Turkish state was founded as a new country. The famous limestone which is derived from the Phoenician historic stone quarries in the Antalya province called Limra stone. It is the limestone which has a homogeneous structure of a light cream color. It can be carried easily in portable sizes and can be cut into the pieces. Due to the light weight and insulating properties is widely acclaimed both in the domestic and foreign markets as the outer coating material. The limestone is on the way to become one of the export income sources of Finike region with the agricultural products all over Turkey and some foreign enterprises also come here to make investments for the future opportunities in recent years.